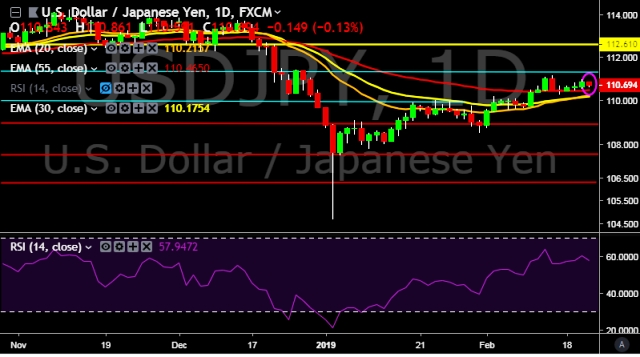 USD/JPY is currently trading around 110.71 marks. It made intraday high at 110.86 and low at 110.59 levels. Japan Feb 2019 Nikkei manufacturing PMI flash decrease to 48.5 vs previous 50.3. Tokyo's Nikkei share average opens down 0.04 pct at 21,422.31.